At least some relief is on the horizon for dad. 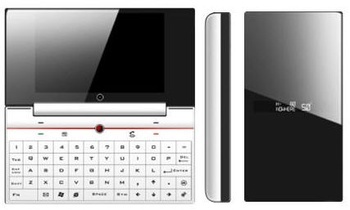 High Tech Computer (HTC), a Taiwan-based maker of Microsoft Windows Mobile cell phones, announced it is on schedule to deliver by 4Q 2008 its first phones based on Google’s open source mobile operating system, Android [via DigiTimes and IntoMobile]. No other details were provided. HTC has long been rumored to be making their HTC Dream smartphone available on the Android platform later this year, making HTC the first manufacturer to deliver an actual working model and not a prototype with promise. It is expected that an Android-powered Google phone — along with the introduction in July of the Apple iPhone 3G — will completely shake up the U.S. cell phone/smart phone market with its touch screen and haptic feedback, a full QWERTY keypad (that slides or swivels for easy typing and texting), and Internet access, among other features. It’s enough for dad to hold off buying a new phone for the kid.